The Granville Cinema has hosted nine special guests this week for a showing of Disnet film Patrick. The movie tells the tale of Sarah, a young woman whose life is in a bit of a mess. The last thing she needs is someone else to look after. Yet, like it or not, her grandmother has bequeathed her a very spoiled Pug – Patrick. Surely she must have had her reasons? 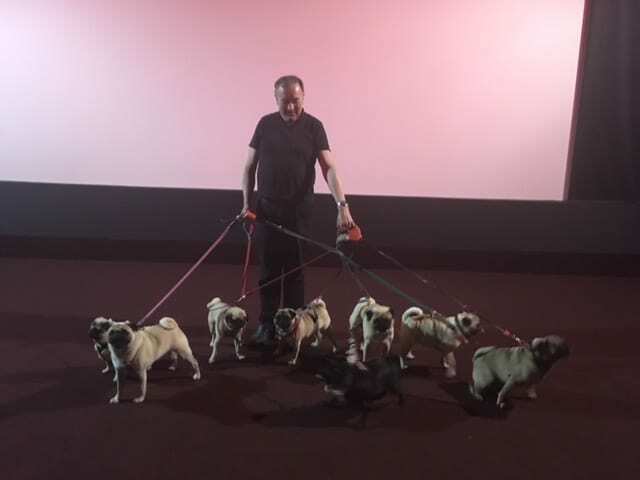 And in the audience for the film were nine Pugs and their owners, who even walked the red carpet to get into the venue! 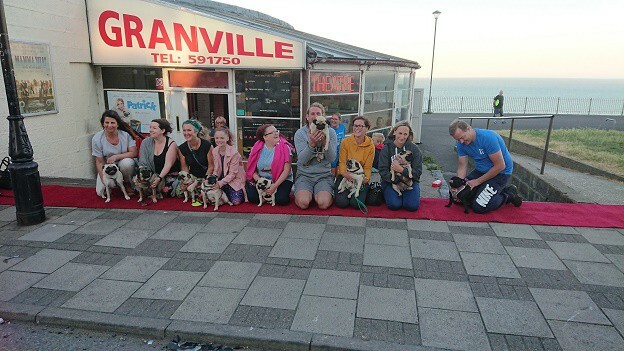 The members of the Pug walking group, including Maxine Morgan with Dylan the Pug and Laura Sullivan and Lucy Cook from the annual Ramsgate Pugathon event, were treated to the special viewing after a barking mad one off request. Bemused general manager Philip Shaw said: “I was surprised to receive a request from a lady who asked if she could bring her Pug to a viewing of the latest Disney Film Patrick. 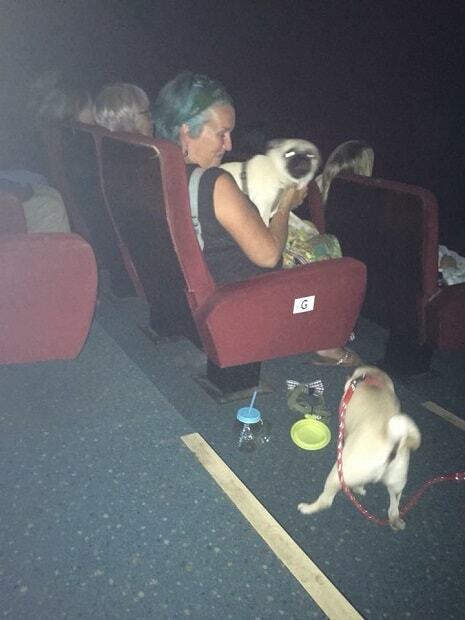 “Normally we only allow dogs in the cinema for those customers with poor or no sight. But on this occasion when she mentioned that she knew several other Pug owners who would also like to see the film I cautiously agreed to a special showing and a total of nine pugs were brought along with their own red carpet. Philip says the Pugs were all well-behaved apart from a few moments when some of them decided to reply to the dog in the film!